Data from the controversial website Sci-Hub reveal that the whole world turns to it for journal articles. The journal publishers take a very different view. “I’m all for universal access, but not theft!” tweeted Elsevier’s director of universal access, Alicia Wise, on 14 March during a heated public debate over Sci-Hub. “There are lots of legal ways to get access.” Wise’s tweet included a link to a list of 20 of the company’s access initiatives, including Share Link. These statistics are based on extensive server log data supplied by Alexandra Elbakyan, the neuroscientist who created Sci-Hub in 2011 as a 22-year-old graduate student in Kazakhstan (see bio, p. 511). I asked her for the data because, in spite of the flurry of polarized opinion pieces, blog posts, and tweets about Sci-Hub and what effect it has on research and academic publishing, some of the most basic questions remain unanswered: Who are Sci-Hub’s users, where are they, and what are they reading? Elbakyan also answered nearly every question I had about her operation of the website, interaction with users, and even her personal life. Among the few things she would not disclose is her current location, because she is at risk of financial ruin, extradition, and imprisonment because of a lawsuit launched by Elsevier last year. The Sci-Hub data provide the first detailed view of what is becoming the world’s de facto open-access research library. Among the revelations that may surprise both fans and foes alike: Sci-Hub users are not limited to the developing world. Some critics of Sci-Hub have complained that many users can access the same papers through their libraries but turn to Sci-Hub instead—for convenience rather than necessity. The data provide some support for that claim. The United States is the fifth largest downloader after Russia, and a quarter of the Sci-Hub requests for papers came from the 34 members of the Organization for Economic Co-operation and Development, the wealthiest nations with, supposedly, the best journal access. In fact, some of the most intense use of Sci-Hub appears to be happening on the campuses of U.S. and European universities. In October last year, a New York judge ruled in favor of Elsevier, decreeing that Sci-Hub infringes on the publisher’s legal rights as the copyright holder of its journal content, and ordered that the website desist. The injunction has had little effect, as the server data reveal. Although the sci-hub.org web domain was seized in November 2015, the servers that power Sci-Hub are based in Russia, beyond the influence of the U.S. legal system. Barely skipping a beat, the site popped back up on a different domain. Tell us what you think about Sci-Hub at http://bit.ly/Sci-Hub. IT IS EASY TO UNDERSTAND why journal publishers might see Sci-Hub as a threat. It is as simple to use as Google’s search engine, and as long as you know the DOI or title of a paper, it is more reliable for finding the full text. Chances are, you’ll find what you’re looking for. Along with book chapters, monographs, and conference proceedings, Sci-Hub has amassed copies of the majority of scholarly articles ever published. It continues to grow: When someone requests a paper not already on Sci-Hub, it pirates a copy and adds it to the repository. So by design, Sci-Hub’s content is driven by what scholars seek. The January paper in The Astronomical Journal describing a possible new planet on the outskirts of our solar system? The 2015 Nature paper describing oxygen on comet 67P/Churyumov-Gerasimenko? The paper in which a team genetically engineered HIV resistance into human embryos with the CRISPR method, published a month ago in the Journal of Assisted Reproduction and Genetics? Sci-Hub has them all. It has news articles from scientific journals—including many of mine in Science—as well as copies of open-access papers, perhaps because of confusion on the part of users or because they are simply using Sci-Hub as their all-in-one portal for papers. More than 4000 different papers from PLOS’s various open-access journals, for example, can be downloaded from Sci-Hub. The flow of Sci-Hub activity over time reflects the working lives of researchers, growing over the course of each day and then ebbing—but never stopping—as night falls. (There is an 18-day gap in the data starting 4 November 2015 when the domain sci-hub.org went down and the server logs were improperly configured.) By the end of February, the flow of Sci-Hub papers had risen to its highest level yet: more than 200,000 download requests per day. How many Sci-Hub users are there? The download requests came from 3 million unique IP addresses, which provides a lower bound. But the true number is much higher because thousands of people on a university campus can share the same IP address. Sci-Hub downloaders live on every continent except Antarctica. Of the 24,000 city locations to which they cluster, the busiest is Tehran, with 1.27 million requests. Much of that is from Iranians using programs to automatically download huge swaths of Sci-Hub’s papers to make a local mirror of the site, Elbakyan says. Rahimi, the engineering student in Tehran, confirms this. “There are several Persian sites similar to Sci-Hub,” he says. “So you should consider Iranian illegal [paper] downloads to be five to six times higher” than what Sci-Hub alone reveals. The geography of Sci-Hub usage generally looks like a map of scientific productivity, but with some of the richer and poorer science-focused nations flipped. The smaller countries have stories of their own. Someone in Nuuk, Greenland, is reading a paper about how best to provide cancer treatment to indigenous populations. Research goes on in Libya, even as a civil war rages there. Someone in Benghazi is investigating a method for transmitting data between computers across an air gap. Far to the south in the oil-rich desert, someone near the town of Sabhā is delving into fluid dynamics. (Go to bit.ly/Sci-Hub for an interactive map of the website’s data and see what people are reading in cities worldwide.) Mapping IP addresses to real-world locations can paint a false picture if people hide behind web proxies or anonymous routing services. But according to Elbakyan, fewer than 3% of Sci-Hub users are using those. Even for journals to which the university has access, Sci-Hub is becoming the go-to resource, says Gil Forsyth, another GWU physics Ph.D. student. “If I do a search on Google Scholar and there’s no immediate PDF link, I have to click through to ‘Check Access through GWU’ and then it’s hit or miss,” he says. “If I put [the paper’s title or DOI] into Sci-Hub, it will just work.” He says that Elsevier publishes the journals that he has had the most trouble accessing. The intense Sci-Hub activity in East Lansing reveals yet another motivation for using the site. Most of the downloads seem to be the work of a few or even just one person running a “scraping” program over the December 2015 holidays, downloading papers at superhuman speeds. I asked Elbakyan whether those download requests came from MSU’s IP addresses, and she confirmed that they did. The papers are all from chemistry journals, most of them published by the American Chemical Society. So the apparent goal is to build a massive private repository of chemical literature. But why? Bill Hart-Davidson, MSU’s associate dean for graduate education, suggests that the likely answer is “text-mining,” the use of computer programs to analyze large collections of documents to generate data. When I called Hart-Davidson, I suggested that the East Lansing Sci-Hub scraper might be someone from his own research team. But he laughed and said that he had no idea who it was. But he understands why the scraper goes to Sci-Hub even though MSU subscribes to the downloaded journals. For his own research on the linguistic structure of scientific discourse, Hart-Davidson obtained more than 100 years of biology papers the hard way—legally with the help of the publishers. “It took an entire year just to get permission,” says Thomas Padilla, the MSU librarian who did the negotiating. And once the hard drive full of papers arrived, it came with strict rules of use. At the end of each day of running computer programs on it from an offline computer, Padilla had to walk the resulting data across campus on a thumb drive for analysis with Hart-Davidson. Yet Sci-Hub has drawbacks for text-mining research, Hart-Davidson says. The pirated papers are in unstructured PDF format, which is hard for programs to parse. But the bigger issue, he says, is that the data source is illegal. “How are you going to publish your work?” Then again, having a massive private repository of papers does allow a researcher to rapidly test hypotheses before bothering with libraries at all. And it’s all just a click away. WHILE ELSEVIER WAGES a legal battle against Elbakyan and Sci-Hub, many in the publishing industry see the fight as futile. “The numbers are just staggering,” one senior executive at a major publisher told me upon learning the Sci-Hub statistics. “It suggests an almost complete failure to provide a path of access for these researchers.” He works for a company that publishes some of the most heavily downloaded content on Sci-Hub and requested anonymity so he could speak candidly. And for all the researchers at Western universities who use Sci-Hub instead, the anonymous publisher lays the blame on librarians for not making their online systems easier to use and educating their researchers. “I don’t think the issue is access—it’s the perception that access is difficult,” he says. “I don’t agree,” says Ivy Anderson, the director of collections for the California Digital Library in Oakland, which provides journal access to the 240,000 researchers of the University of California system. The authentication systems that university researchers must use to read subscription journals from off campus, and even sometimes on campus with personal computers, “are there to enforce publisher restrictions,” she says. Indeed, the data suggest that the explosive growth of Sci-Hub is done. Elbakyan says that the proportion of download requests for papers not contained in the database is holding steady at 4.3%. If she runs out of credentials for pirating fresh content, that gap will grow again, however—and publishers and universities are constantly devising new authentication schemes that she and her supporters will need to outsmart. She even asked me to donate my own Science login and password—she was only half joking. Sea Shepherd activists have collided with Japanese ships in campaign to halt whale hunts. 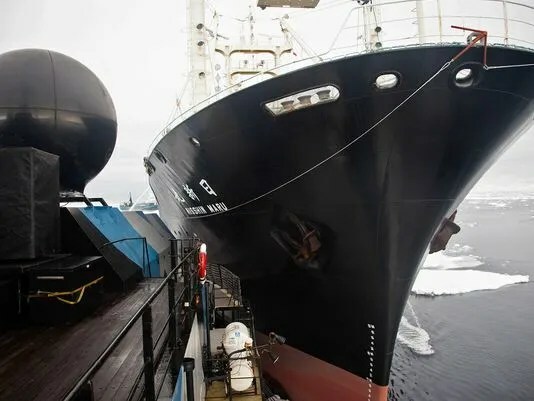 A federal appeals court has declared the Sea Shepherd Conservation Society to be modern-day pirates and ordered the anti-whaling activists to stop confronting Japanese ships in the waters off Antarctica. A three-judge panel of the 9th U.S. Circuit Court of Appeals reversed and rebuked a lower-court judge in Seattle, who had sided with Washington state-based Sea Shepherd and dismissed a lawsuit filed by Japanese whalers seeking to halt the protests. An international treaty allows governments to kill whales for research. Sea Shepherd ships, sailing from Australia, often block or harass whaling vessels from the Institute of Cetacean Research, sometimes resulting in collisions. During the past week, two of the group’s vessels were damaged while trying to prevent Japanese whaling vessels from refueling. Kozinski wrote that Jones was “off base” when he concluded that the protesters’ tactics were nonviolent because they did not target people, just ships and equipment. Jones also ruled that the hunters were violating an Australian court ban and therefore could not pursue their lawsuit in the United States. The appeals court rejected that argument, saying the whalers’ lawsuit could proceed in U.S. courts under international maritime law. 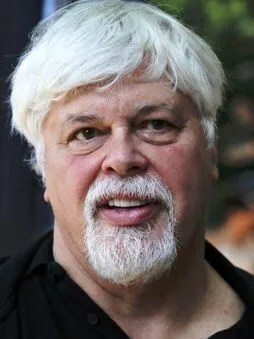 An attorney representing Sea Shepherd told the Associated Press he would ask an 11-judge panel of the appeals court to review the three-judge opinion. A Sea Shepherd official told KIRO Radio on Tuesday that because the U.S. branch had separated from its Australian counterparts, the ruling had no bearing. “What Sea Shepherd Australia is doing with Australian flagged vessels and Dutch flagged vessels down in the Australian Antarctic territory is outside of any sort of control of the courts in the United States,” said Scott West, director of investigations for Sea Shepherd. “We have yet to hurt anybody, we have yet to plunder any gold or do anything that would fit within the definition” of piracy law. Sea Shepherd Australia released video that it said showed a Japanese whalerramming two of its ships last week. Tuesday, the ICR countered with video that it claims shows Sea Shepherd “sabotage” by ramming a whaling vessel. Sea Shephred’s efforts have been featured on Animal Planet’s Whale Wars.